Lanham, Md. — The best way to ensure long pavement life is to preserve pavements through maintenance and address distresses before they become pavement failures. A new publication, Thinlays for Pavement Preservation, provides guidance on the use of thin asphalt overlays as part of a successful pavement preservation program. 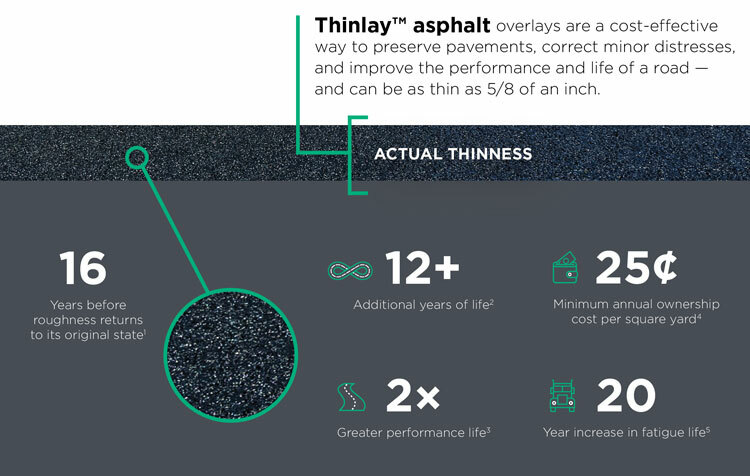 The guide also helps users compare the cost and performance of common pavement preservation techniques and includes case studies highlighting the successful use of Thinlays under a variety of conditions.